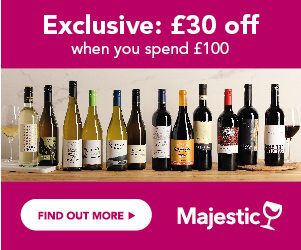 100cl / 15% - A litre bottle of Martini Rosso. Claimed to be the world's first vermouth, the distinctive colour is produced by the addition of caramel, which also tempers the bittersweet effect of the 50+ herbs and spices used in production. Sorry, we don't have any reviews of Martini Rosso Vermouth / Litre Bottle yet. If you've bought it, why not tell us what you think below? Waiting for a good deal on Martini Rosso Vermouth / Litre Bottle? Enter your email address below and we will email you when it's on offer at 25% off or more! The Wines Direct Price Alert is a free service. In return, we just ask you to write a short review of Martini Rosso Vermouth / Litre Bottle to help other customers learn about it.